May 22nd, 2007 00:20 by stephane@deluca.biz — Permalink | TrackBack: http://boursomac.com/trackback/547 — exists for 11 years & 11 months ago — — Sorry, this content is not available in english. - Steve Pyke for TIME. 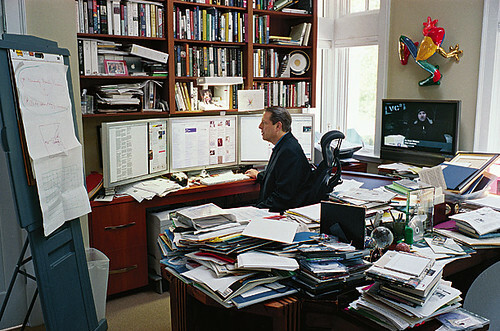 Steve Pyke for TIME reveals Al Gore's setup: A Wide Open Future, Gore in his office in May 2007.